Apple has unveiled the fifth generation model of it's full sized iPad and it gets a new name. The Apple iPad Air is thinner and lighter than the previous model, is powered by a 64-bit A7 processor and has an upgraded 5-megapixel camera that records 1080p video. Apple spent most of the launch talking about the iPad Air's new design. It looks like a larger iPad mini, utilising the same small bezel, chamfered edges and curved corners as the company's smaller tablet. Apple says the smaller bezel has resulted in a 20 per cent thinner (7.5mm) and 28 per cent lighter (469g) design overall, and calls it "the lightest full-size tablet in the world". The iPad Air will be available in two colours: silver & white, and space grey & black. Interestingly, this is the first time Apple has completely re-designed the iPad since the iPad 2 was launched back in early 2011. The iPad Air is powered by Apple's new 64-bit A7 processor, and also has an M7 motion co-processor, just like the iPhone 5s. 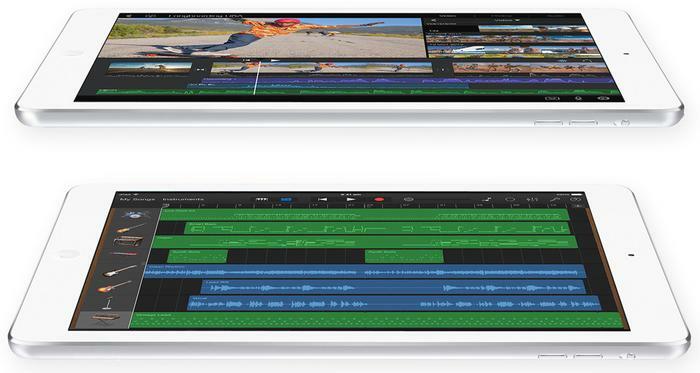 Apple says it offers up to twice the CPU and graphics performance compared to the previous 4th Generation iPad. The iPad Air retains the same retina display as its predecessor, but Apple has upgraded both the rear and front cameras. The rear iSight camera has a 5-megapixel lens, dual microphones and records 1080p video, while the front-facing FaceTime HD camera has a 1.2-megapixel sensor and can record 720p HD video. The iPad Air retains a 10-hour battery life.